Here’s a closer look at some of these materials. This is the most common material used for patio doors because of its natural beauty. Wood is susceptible to weather damage, however, so it needs a durable finish of stain or paint. It also needs re-staining or repainting every few years. Wood doors are also available factory-primed or pre-painted in standard colors. For an added cost, you can get them painted with custom colors for added aesthetic appeal. This man-made material has a clean, modern appeal and can be usually painted or stained. Doors made from fiberglass are durable and will never peel, swell or warp. Fiberglass is average-priced, dent -resistant and energy-efficient, and requires little maintenance. It can, however, crack under severe impact. It is often used on sliding glass doors. Steel doors are often made of heavy-gauge galvanized steel applied over a core of rigid foam. Their surfaces have a coating of polymer or vinyl, and are wood-grain embossed. Steel can dent and is difficult to repair. Also, this material can scratch and will rust if not repainted often. However, because of their foam cores, most steel doors offer good energy efficiency. Steel is ideal for homeowners looking for longevity. 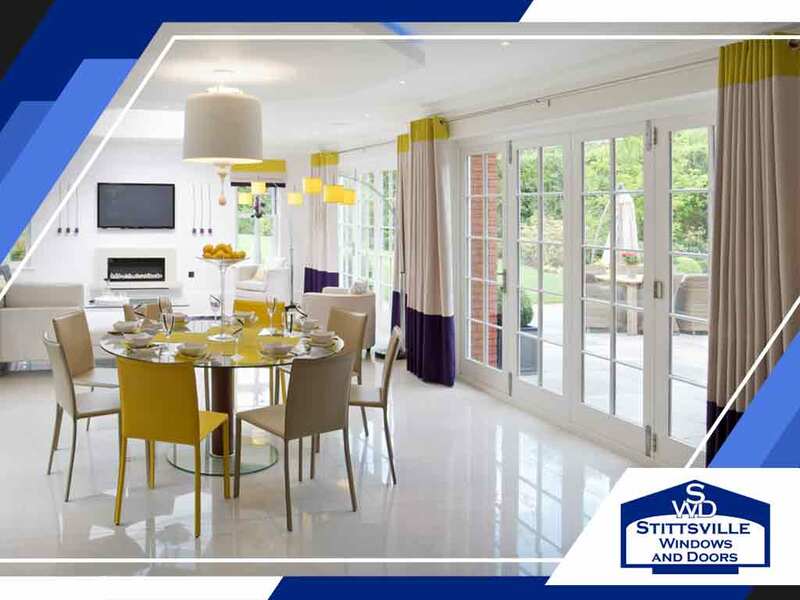 For French door styles for your patio, there’s Stittsville Windows and Doors. We will help you get the perfect doors for your home. Find out why we are one of the most trusted patio door installers in the West End of Ottawa. Call us at (613) 706-1922 to request a free estimate.